It happened the other evening, just as it had happened before. When the old gibbous moon was high in the sky and someone in Circleville, Ohio was playing �The City of New Orleans� on the radio, Slim and Stumpy entered the plastic-plasma phase and began to �connect.� This may already seem strange, but there is more. 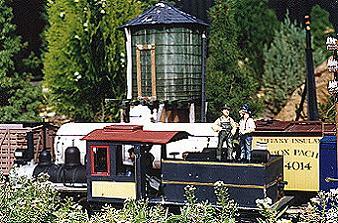 You see, Slim is a 1:20 figure on �Engineer� Jeff Saxton�s Winona & Thorny Mountain RR in St. Louis, Missouri, and Stumpy is a short 1:20 figure on George Thomas� Lazy Acre Lumber Company RR in Delran, New Jersey. Just why the old gibbous moon and �The City of New Orleans� are important is unclear, but Circleville, Ohio, is about halfway between St. Louis and Delran. Perhaps that is explanation enough. When Slim and Stumpy �connect� they plan to visit a great model railroad. They had already enjoyed visiting each others railroads and the Winged Foot & Western, so on this particular evening they wanted to choose one that was completely different. �How about Phil Creer�s Toenail Ridge Shortline in Australia?� suggested Stumpy. So Slim and Stumpy went to Belair, South Australia. They immediately found Phil's garden railroad and headed for the yards at Rowel Flat. A freight train was about to leave, so Slim and Stumpy struck up a conversation with the engineer. �Thanks,� said Slim and Stumpy simultaneously. After a few minutes surveying the Rowel Flat area, they joined Tony in the cab of the Porter. It was a pleasant ride to Selbyville. 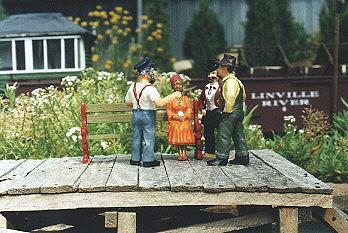 Upon arrival they met Jack Lazyacre on the loading dock. �Hi there. I'm from Missouri and my friend here is from New Jersey,� said Slim. �And I see your friend has taken a fancy in that, er, ah, lady sitting there,� added Jack. �Who? Me? She was just saying how she could fix this loose button of mine,� stammered Stumpy. So Jack Lazyacre headed into Selbyville, followed by Slim with Stumpy in tow. 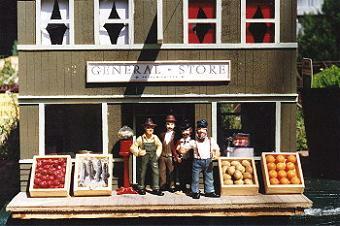 The first stop was the General Store where they met the storekeeper, Michael Cotton (second from left in photo). Mr. Cotton thought quite highly of himself; he was as close to the mayor as one can get in a town of this size. Slim and Stumpy were far more impressed with the store, although they didn't share this with their hosts. They were trying to be good guests, especially after Stumpy's little mistake on the loading dock. Stumpy wanted to buy something, but just as he was about to enter the store, Slim spotted the saloon. They quickly headed down the street to the saloon, this time with Slim in the lead. He wasted no time going inside and immediately bumped into Chuck Parker, the owner. Chuck guided them to the bar and introduced them to George Schreiker, the barkeep. Stumpy ordered the local favorite, Billias' Beer, and sat down next to a guy named Grant. Most bars provide an ample supply of salted nuts to enhance the sale of drinks, and Chuck Parker's Saloon was no exception. Funny thing though, Stumpy didn't get to eat many of them. You see, Grant kept emptying the dish. He stuffed them in his mouth so quickly that Stumpy couldn't help thinking of him as part squirrel. The biggest squirrel in the valley! Meanwhile, Slim had purchased a bottle of whiskey and was invited to join Joe and Ken at a nearby table. Like Grant, Joe and Ken were all in the employ of the railroad and often ended their workdays here. One bottle led to a second and a third (or was it a fifth). Funny thing, though, it seemed that Slim did all the buying. But the conversation was good, and what more could a visitor ask for? After about an hour or so, Slim ran out of money. Strangely, it was about then that his two new friends also disappeared. 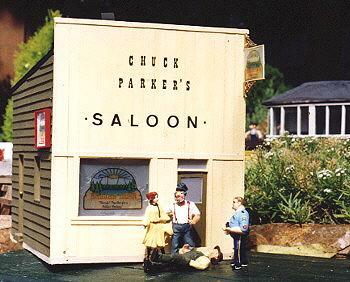 Stumpy sized up the situation and sensed it was time to bid adieu to Chuck Parker's Saloon. 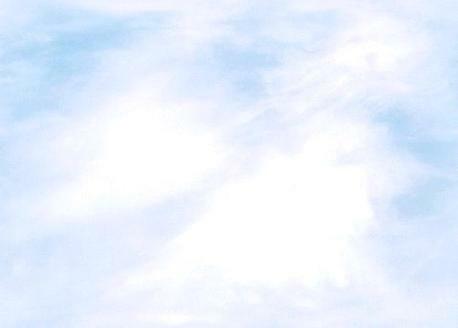 But no sooner had they stepped outside when Slim found himself looking up at the clouds. Someone must have thought Slim's prone position was the result of a fight and called Sheriff Dillon Matthews, who chuffed over as quickly as he could (which wasn't really all that fast). After a brief consultation with a witness he came to the conclusion that no laws had been broken, and that nothing was out of the ordinary. Indeed, this sort of thing happened pretty much every day in Selbyville. A cold pitcher of water cured Slim's unconscious state; but unfortunately he had a terrible headache. It was clearly time to leave. Stumpy had made a fool of himself on the loading dock, and now Slim had done the same in front of Chuck Parker's Saloon. Stumpy said good bye to the few Selbyville people who had gathered, and led Slim back to the railroad yard. 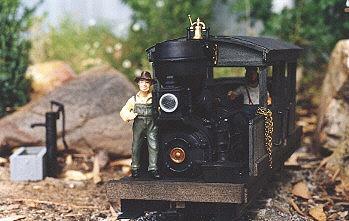 A Class A Climax was just about to take a few freight cars to Rowel Flat, so Stumpy asked if they could hitch a ride. Although the run from Selbyville to Rowel Flat is fairly long, it seemed short to Slim and Stumpy, because it meant that yet another adventure was about to come to an end. They thanked the engineer and then faced each other. Good-byes were always difficult for these two railroad buddies. And so they both vanished into the warm, dry air of South Australia, heading back to Missouri and New Jersey. But rest assured, Slim and Stumpy will meet again to make another layout visit. So lube your locos, web site readers, it could be yours!